The Brussels Museum of Musical Instuments Living Music organiser, Jo Santy wished to schedule events with the Luthéal piano. This unique keyboard is a grand piano Pleyel of 1920 enhanced by four registers and mechanisms invented by the Belgian Georges Cloetens in 1918. These mechanisms make the piano sound like a harpsichord, or resonate the upper octave harmonic of each string like the harpe tirée technique, or both simultaneously - the natural sound of this wonderful piano also being available. 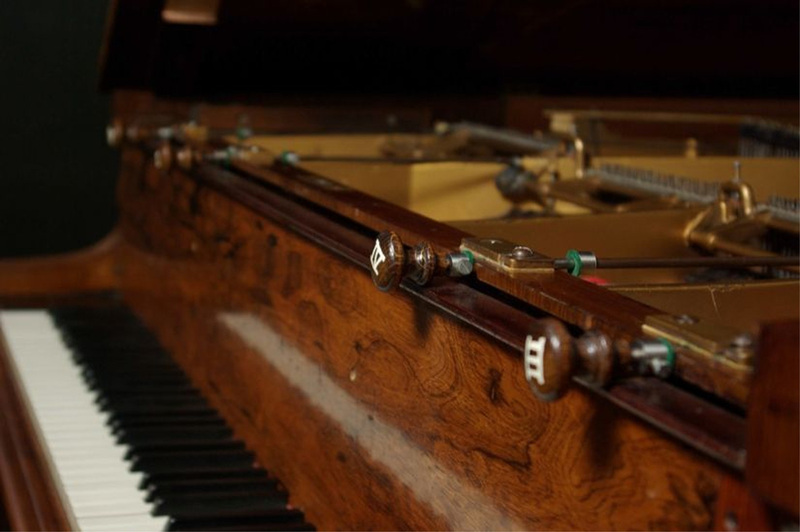 The only historical Luthéal piano belongs to the Museum of Musical Instruments and was repaired in order to be performed. But only two works of Maurice Ravel exist in its repertory - and nothing else. 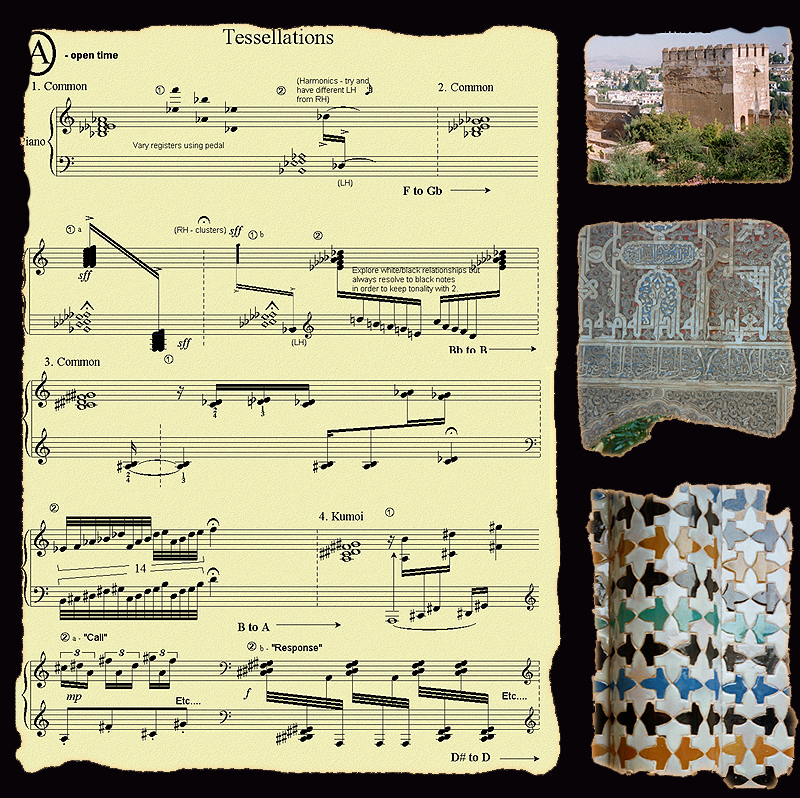 Unlike Tessellations I which explores the possibilities of improvising with a pr-established form as a soloist, Tessellations II explores the possibilities of improvising with the same pre-established form but in a group situation. 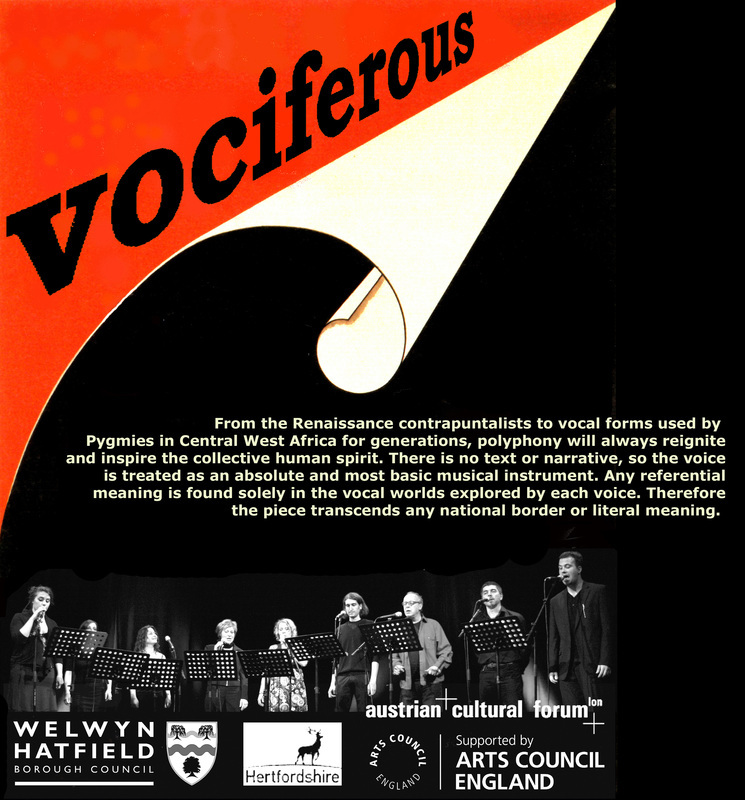 However, both Tessellation pieces use the same sequence of 52 pentatonic scales which returns to the beginning at the end, so is harmonically cyclic .....see: http://www.pointofdeparture.org/PoD35/PoD35Ezz-thetics.html.